Interior Stylist and author, Kirsten Grove, has always had a passion for interior design…well, at least since she was 9 years old and was given free reign at decorating her bedroom. Back then, she chose an eclectic palette of rainbows, polka dots, and stripes. Today Kirsten uses Simply Grove as a creative outlet for all things aesthetically beautiful. Started in 2008 as a way to show off eye-catching design and decor from all over the world, Simply Grove has become a hang-out for like-minded creatives with a love of interiors and an appetite for design eye-candy. Kirsten has styled and designed for clients all over the world. Don’t be surprised if you’ve seen Kirsten featured in publications and sites such as Sunset Magazine, LA Times, Family Circle, Architectural Digest, My Domaine, Marthastewart.com, Inside Out Magazine, Better Homes and Gardens, Gray Magazine, Elle Decor.com, HGTV.com, Domino.com, Apartment Therapy and Design* Sponge. Kirsten was included as Domino’s Best Design Blogs for 2016 as well as named Saveur’s 2015 Editors Choice for Home Style and Design Blogs. She was also one of Better Homes and Gardens top 10 best decorating blogs. She has been a speaker at Alt Summit 2011, 2012, 2013 and 2015 as well as other conferences around the states. 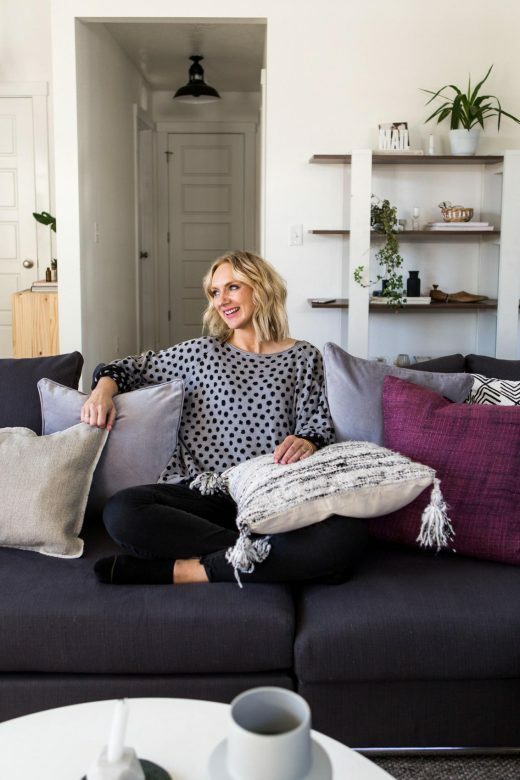 Kirsten has collaborated with major companies such as West Elm, Benjamin Moore, Target, Nissan, eBay, Sherwin Williams, Pottery Barn and Lowes. Kirsten is also the author of Simply Styling, Fresh and Easy Ways to Personalize Your Home.